If you’re investing in new roofing, look for materials that offer beauty and durability in one. 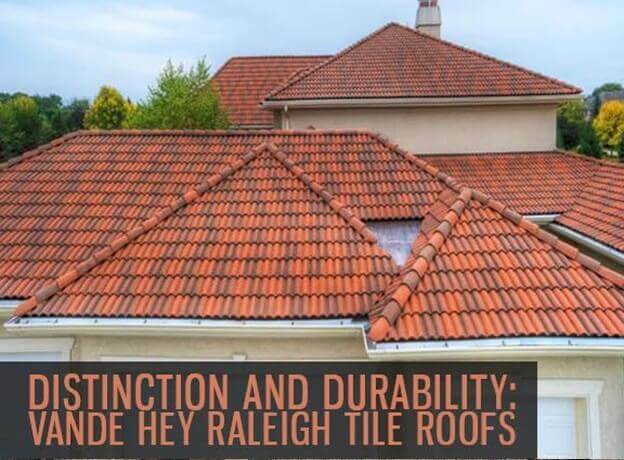 Tile roofing from Vande Hey Raleigh offers these features and more. This roofing manufacturer has been on the market since 1977, creating custom-crafted tiles for homes across the country. High Barrel – This offers the look of European and Mexican homes in one. Riviera – This has beveled ribs that create bold shadow patterns. Specialty – This can mimic the look of your existing roof tiles. Custom brushed – This comes with a staggered pattern. Shake – This mimics the look of wood shake roofs. Vande Hey Raleigh tiles also stand strong against different weather conditions. They meet or exceed industry requirements for wind uplift, water absorption, combustibility, and strength. These custom-made tiles also resist termites, rot, and small pests. These tiles also help you save energy costs because they ensure natural ventilation. According to the Department of Energy, tiles also have the ability to cut heat transfer by up to 70%. When you invest in this type of Hammond roofing, you are also helping save the environment. The manufacturing of tiles does not use harmful chemicals, and any waste can be recycled. Rogers Roofing is a certified installer of Vande Rey Haleigh roofing tiles. We ensure proper installation of your tile roofing so you don’t have to worry about premature repairs. As certified contractors, we can offer you a limited lifetime warranty for your peace of mind. Aside from roofing services, we also specialize in various home improvement projects. We can help you with siding replacement and windows in Hammond, IN, and the nearby areas. If you want to learn more about tile roofs, call us today at (219) 228-8210 or (773) 492-2270. You can also request a free quote when you fill out our contact form.